As the darkness falls upon us, it’s easy to choose hibernation as the coping mechanism of choice to avoid the dreadful, icy, bone-chilling winter season. But as much as we might want to curl up under fifty blankets in bed for the next five months, we unfortunately do have to leave our cozy abodes. Thankfully, the Twin Cities make it pretty easy to do that. 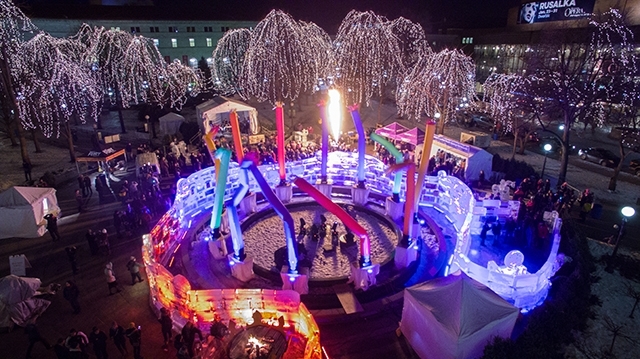 Try some (or all) of the fun winter activities from this year’s Winter What To Do Guide. We can’t beat winter, so why not join it? Throw on a parka, a hat, and a pair (or two) of gloves and embrace the chilly winter weather at Wells Fargo WinterSkate this season. Skate circles in the heart of St. Paul, enjoy the holiday music, or stroll through the park to look at the seasonal lights. Free skating lessons are also offered. Farmers Markets are typically regarded as a spring or summer activity, but not in the Bold North! Come to one of the Twin Cities Winter Farmers Markets for some seasonal treats, homemade crafts, hot beverages, and more. Dates, times, and locations can be found online. Looking to get some holiday shopping done? Look no further. Stop by the two-week boutique Gifts in the Gallery for unique, stunning items for everyone on your list. 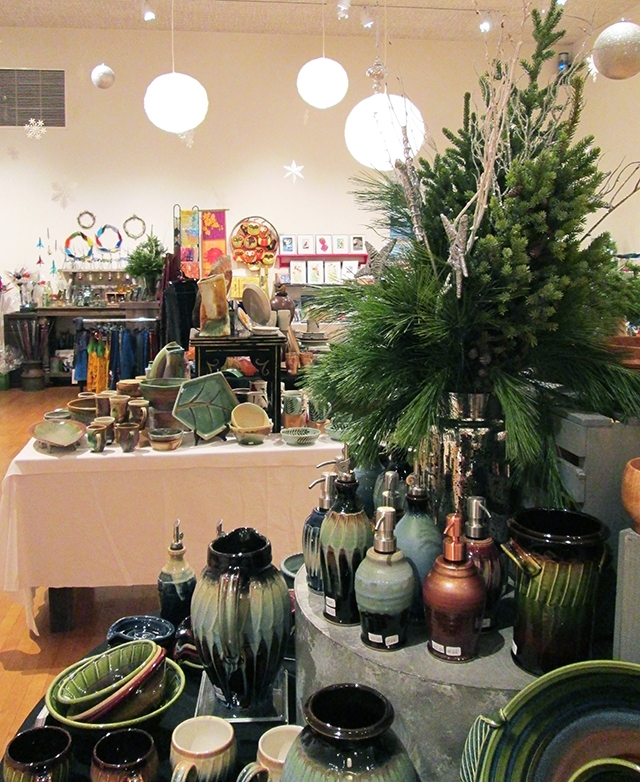 From silk scarves and jewelry to ceramics and blown glass, all items are handcrafted by more than 60 local artists. Escape the frigid temperatures and embrace your creative side at the annual Raging Art On gallery event at the Elliot Park-based Gamut Gallery. 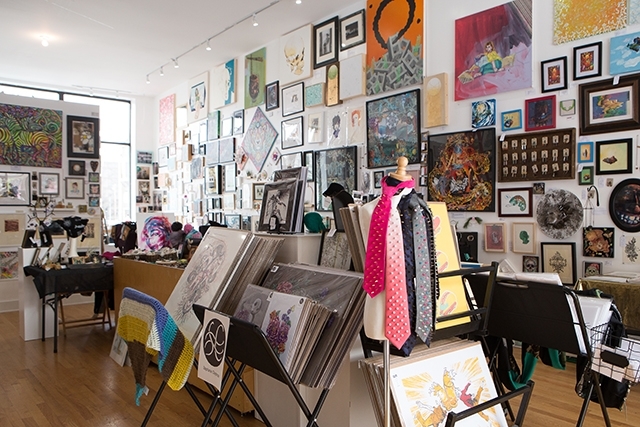 With more than 50 artists, RAO offers a variety of paintings, photos, prints, jewelry, collectibles, handmade apparel, and housewares for every style. Nothing will quite warm you up during a Minnesota winter like jazz music. Come to the Dakota Jazz Club for the Holiday in the Heartland event. 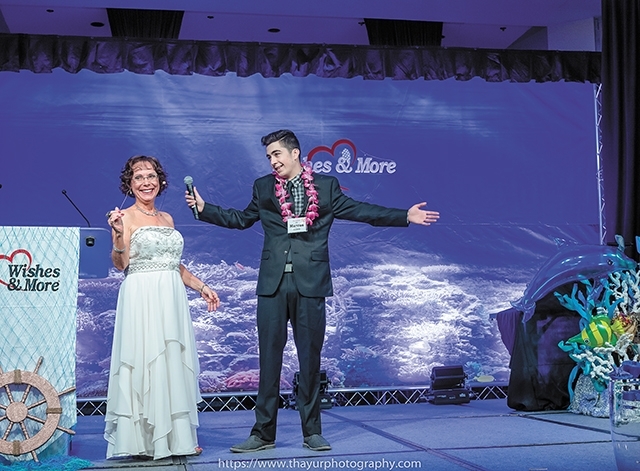 With musical guests, silent live auctions, and a presentation of the annual One Heartland Heart of Hope Award, this event will make you forget all about the frigid outdoors. Loved the Whitney Houston Christmas drag brunch? Why stop there? Come to LUSH for the Best of 2018 Drag Brunch. The year might be coming to an end, but the fun doesn’t have to. Get your read on with the Twin Cities Prime Timers Book Club, a social organization for older gay and bisexual men. With a new book each month, this book club will give you something to do this winter and some great books to read while doing it. The December book will be Breaking the Surface by Greg Louganis. Join fellow nature lovers at the 23rd annual Itasca State Park Winter Bird Count. Part of the nationwide Audubon Christmas Bird Count, this event is great for anyone who wants to learn more about native birds, take in the views, or face the frozen tundra head-on. This is certainly not your typical drag brunch. Celebrate the holiday season with brunch, a drag show, and, er, Muppets? Sing along to carols and chow down on your favorite brunch, Muppet-style. I know what you want, what you really, really want: to attend the Spice Girls New Year’s Dance Party, of course! Dress up as your spirit-Spice, jam out to your favorite throwback tunes, and enjoy a trip down memory lane as you welcome 2019. If there’s one thing we don’t want to ever relive it’s ’80s style… which is exactly why we’re doing it. Come to First Avenue on New Year’s Eve for ’80s Prom, a night filled with throwback jams, wild colors, and, of course, gigantic hairstyles. Take a trip to another galaxy far, far away at Star Wars in Concert at the Minnesota Orchestra. View the original Star Wars film while taking in the classic John Williams melodies played live by the Minnesota Orchestra. Jumping into freezing cold water in the arctic tundra we call Minnesota? Okay, so we found an event I won’t be going to. But if you’re braver than I am, this is definitely an event you’ll want to check out. 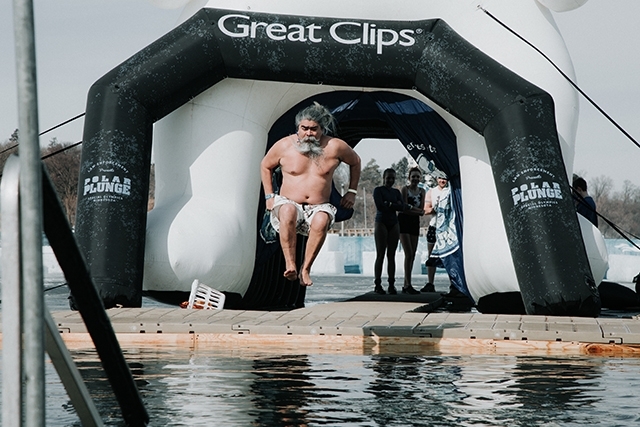 The Polar Plunge is an annual icy dip that raises money for Special Olympics. This is a winter event unlike any other. Enjoy some nighttime cross country skiing or snowshoeing—or both—in the candlelight. Perfect for a romantic date or a night of fun with the whole family. Refreshments will be available. Get outside at the Pine City Winter Frolic. With snowshoeing, throwing curling stones, playing a round of Ojibwe snow snake, and learning about winter travel during the fur trade, this event is great for the whole family and a learning lesson for all. The game is on in the Home of Hockey! Whether you’ve registered yourself, know a friend or family member on the ice, or you just like cheering from the crowd, this is the perfect event to celebrate Minnesota culture. Just don’t forget the blankets! Okay, fine! I’ll admit it! Winter isn’t all that bad. Especially at the St. Paul Winter Carnival. Puzzle contests, parades, ice palaces and more… what’s not to love? Bring the whole family for a carnival unlike any other. 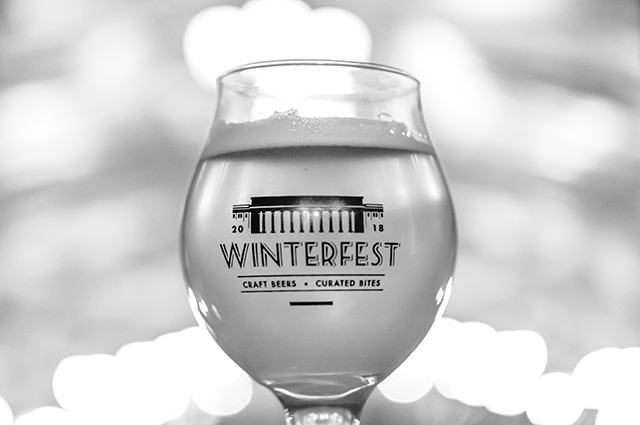 Eat (and drink) your way through winter at St. Paul’s WinterFest. More than 20 restaurants have partnered with Minnesota’s craft breweries to offer a wide variety of delicious brews and bites. Itching to renovate your homes and want some primo tips? 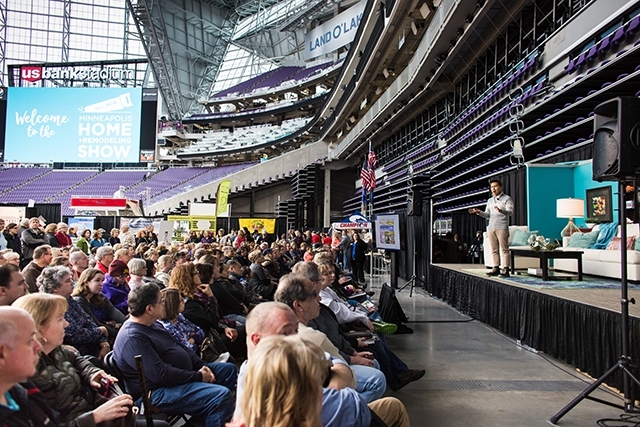 Then head on down to the third annual Minneapolis Home + Remodeling Show at U.S. Bank Stadium! More than 300 vendors will be on-site to offer resources on home remodeling, interior design, and much more. Special guests will include This Old House host Kevin O’Connor and HGTV star Jeff Devlin. Are you a Twins superfan? Or perhaps you just enjoy the atmosphere of a baseball game? Whatever the reason, TwinsFest 2019 is an event you’ll want to check out. For just $20 for adults and $10 for children up to 12 years old, you can explore the beautiful Target Field, learn about the history of Twins baseball, and get a behind-the-scenes fan experience with interactive events and more. Hockey, fireworks, ice sculptures, and s’mores? Where do I sign up? Take in the beautiful North Shore in Superior, WI at the Lake Superior Ice Festival. With a Kids’ Zone, ice racing, and snow slides, this festival has something for people of all ages. Let’s go fly a kite! 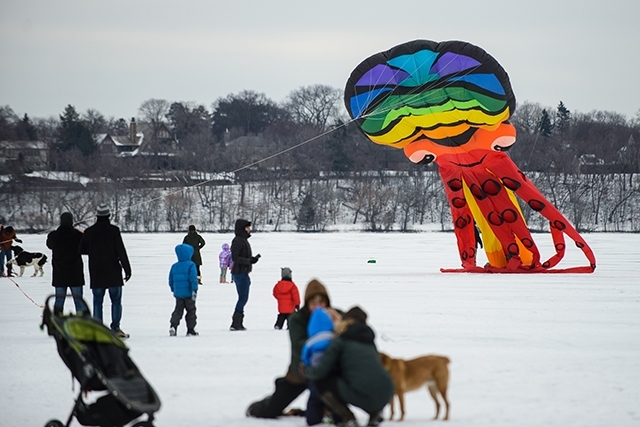 Come to the 18th annual Lake Harriet Winter Kite Festival to view kites of all shapes, sizes, and colors soar high above the frozen lake. New this year, fat bike rides through the snow. We hereby dub thee royalty! 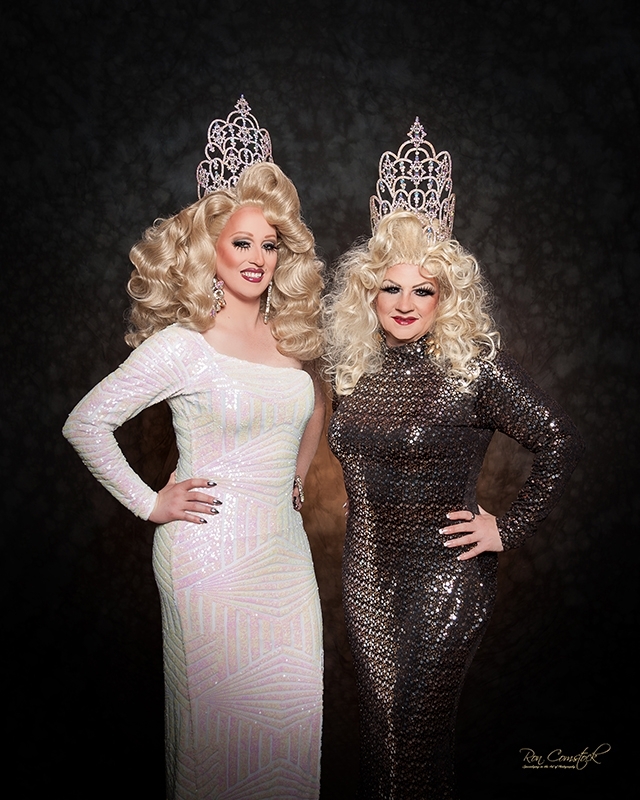 Join Anastacia Rose and Kendra Blake at the Coronation XXVII “Once Upon a Dream: A Night of Faeries, Gems, and Hexes.” Everyone’s royalty at The Saloon. 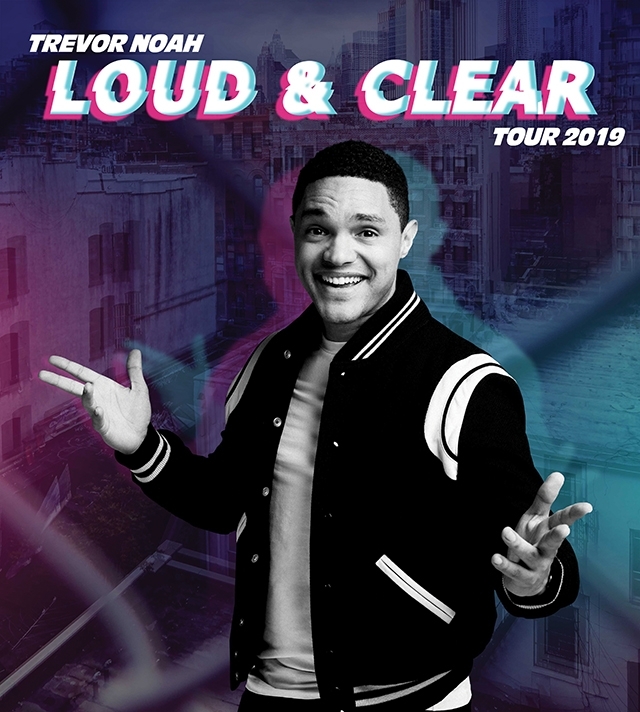 Get ready to laugh at Trevor Noah’s Loud and Clear Tour at the Xcel Energy Center. Known for hosting The Daily Show and authoring Born a Crime: Stories from a South African Childhood, Noah will share some social and political commentary and, of course, comedy. Explore the diverse world of STEM at the STEM Family Day event at Mill City Museum. Learn about kitchen chemistry, waterpower in the City of Minneapolis, the history of milling and engineering in the Twin Cities, and much more. Join the North Country Bears at the Barker’s Island Inn in Superior, WI for the annual Fur Flee event. Buy tickets ahead of time or at the door and get your grizzly freak on. Watch your favorite fairytale come to life at the annual Wishes and More Winter Ball. With an auction, games, dining and cocktails, dancing, and a Wishes and More Chapter presentation, this winter ball will surely make the kid in all of us smile. Escape the winter air at the annual Bock Fest at August Schell Brewing Company. Enjoy a variety of beer, sit by the fire, and learn about the rich history of August Schell Brewing Company. 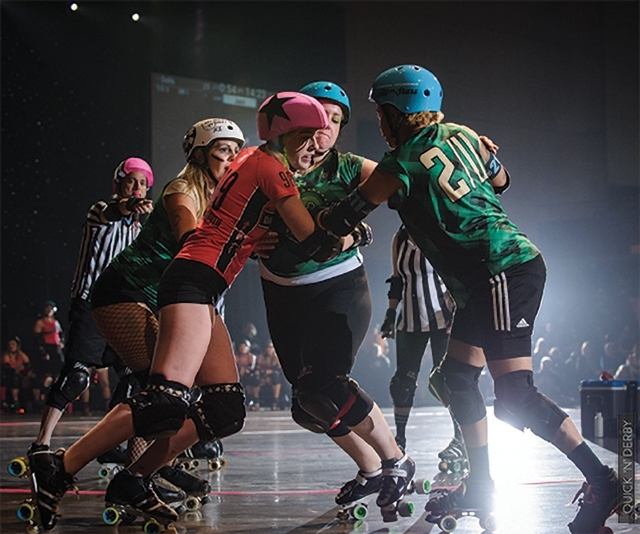 One of the most intense sporting events of the year, the Minnesota Rollergirls Season 15 Home Team Championships will earn one team the Golden Skate… and bragging rights, of course. Also, you’ll want to get there early. The first 200 people in the doors get a free Minnesota Rollergirls t-shirt.